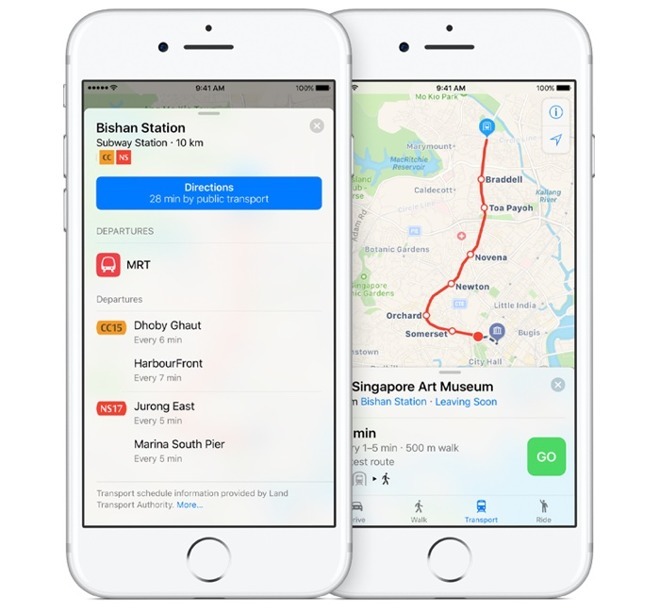 Apple is in the process of rolling out public transit directions to iOS and Mac users in Singapore —presumably setting the stage for the city-state's first Apple store, due to open soon. 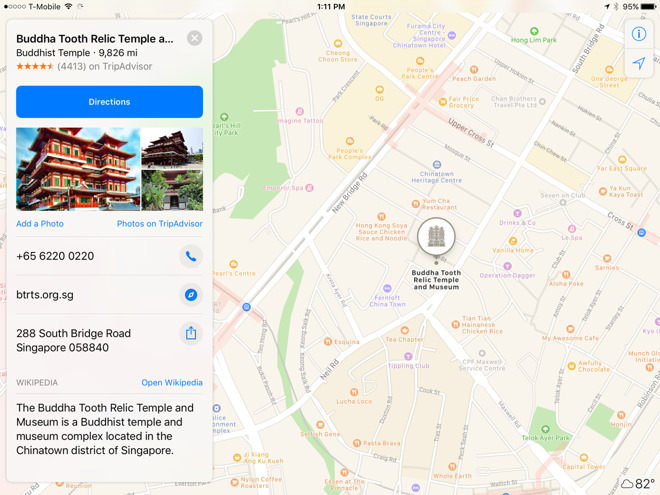 Singapore now appears in Apple's list of supported cities, and the feature is also mentioned in the region's iOS Maps webpage. In testing from the U.S. AppleInsider was unable to get directions, but it could be that Apple is only gradually expanding access. Apple is meanwhile marking various points of interest around the city, according to HardwareZone.com.sg, such as the Esplanade and the Buddha Tooth Relic Temple. Earlier this month Apple removed barricades in front of its upcoming Orchard Road store, revealing a special mural. The outlet's opening date is still unknown, but Apple doesn't normally reveal such art unless a launch is less than a month away. Apple has been gradually restoring public transit directions since the arrival of iOS 9 in 2015. They had been present as recently as 2011's iOS 5, but were stripped out the following year when Apple decided to abandon Google content in favor of data from various third-party mapping firms. Apple Maps now also includes coverage that was never present in iOS 5, such as bike rental and EV charging stations.